The use of bananas is undeniable. These tropical fruits are rich in potassium and magnesium. In addition, they normalize the activity of the gastrointestinal tract. 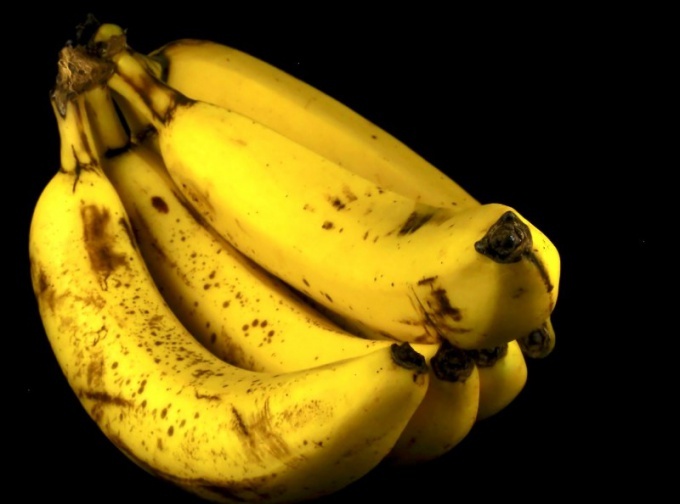 Often bananas used in its pure form, without subjecting them to heat treatment, but sometimes they are not only fried, but boiled. the key to rolling cans. Before cooking the bananas, pay attention to their degree of maturity. If food is used even green bananas, jam only the ripest fruit. Too hard or already overripe fruits with symptoms of rot for boiling cannot be used. Clean the fruit from the rind and chop into small pieces, the size of which should not exceed a few centimeters. If you want you can chop the fruit in a blender, achieving a homogeneous mass. But you can do without it, because in the process of cooking bananas will become like mush anyway. Boil sugar and water thick syrup, in which put chopped bananas. The fire should be small, otherwise the cooked bananas will begin to burn to the bottom of cookware before you start to turn into jam. Cook bananas over low heat in the syrup until then, until they are the consistency will not resemble jelly. Periodically stir the mixture to avoid burning. After the density of jam will satisfy the requirements for it, it remains only to sterilized glass jars and cover them in a container of boiling water for several minutes. Pour the jam into containers and close lids using the key for rolling. Jam from bananas be stored no less than other types of conservation. It is ideal for filling cakes and pastries. When interacting with light banana jam may be darker. Banana jam may include not only the eponymous fruit. Often it adds citrus fruit that serve as a natural preservative and allow to do without the use of citric acid. As additional features, you can use lemons, tangerines, oranges and even grapefruits, freed from the skin.